ARTfarm Saturday, 10 AM – 12 noon! It’s Spring! Pray for rain, folks! The South Shore is extremely dry and we could seriously use some of those rain showers the forecaster spoke about on Friday afternoon. 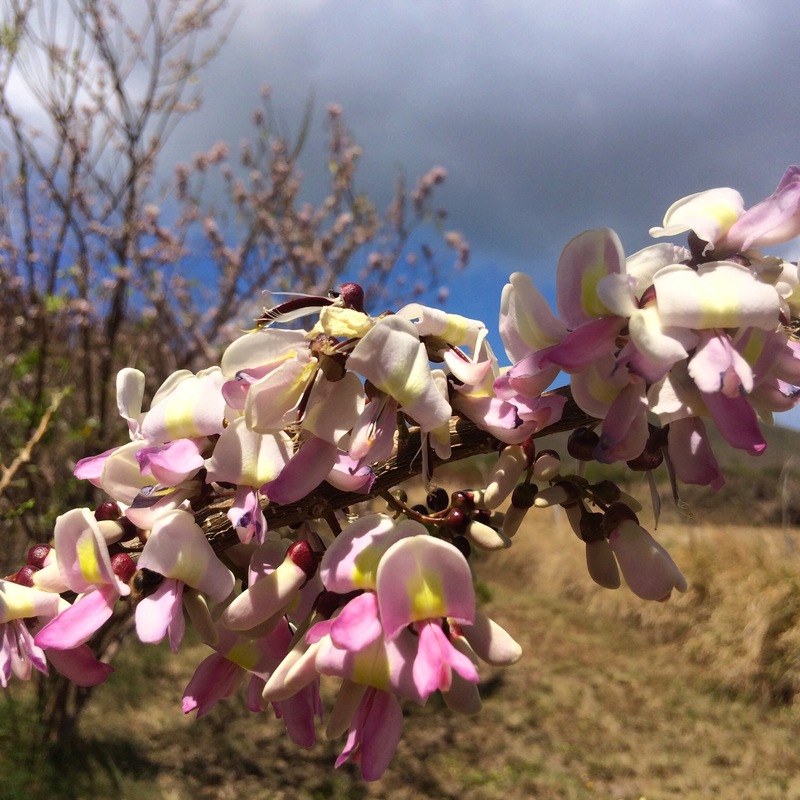 Madre de Cacao trees are blooming and the honeybees are enjoying the pungent flavors of the dry season. Join us starting at 10am for sweet salad mix, microgreens, baby arugula, teen and regular spicy, a few cucumbers, onions, beets, radishes, carrots, kale, dandelion greens, cherry tomatoes, heirloom and slicing tomatoes, fresh harvested ginger root, thyme, lemon balm, sage, celery, Italian basil, Thai basil, lemon basil, holy (Tulsi) basil, dill, parsley, cilantro, garlic chives, zinnia flowers, and a few Mediterranean figs and passionfruits. From our fellow growers and crafters: farm fresh eggs by the dozen from the Gotts family, Wanda will be on hand with her honey meads, we’ll have Nonna’s fresh-baked focaccia and panini breads and we have a few coconut-based vegan ice creams from I-Sha. Looking forward to seeing you all! Weâre praying for rain for you all from sunny, dry Kanas City! Hey thanks Vincent great to hear from you. The ‘dog ate your card’ – it’s still ’emerging’ from our ‘filing system’ so really happy to have your contact info again! Will be in touch!